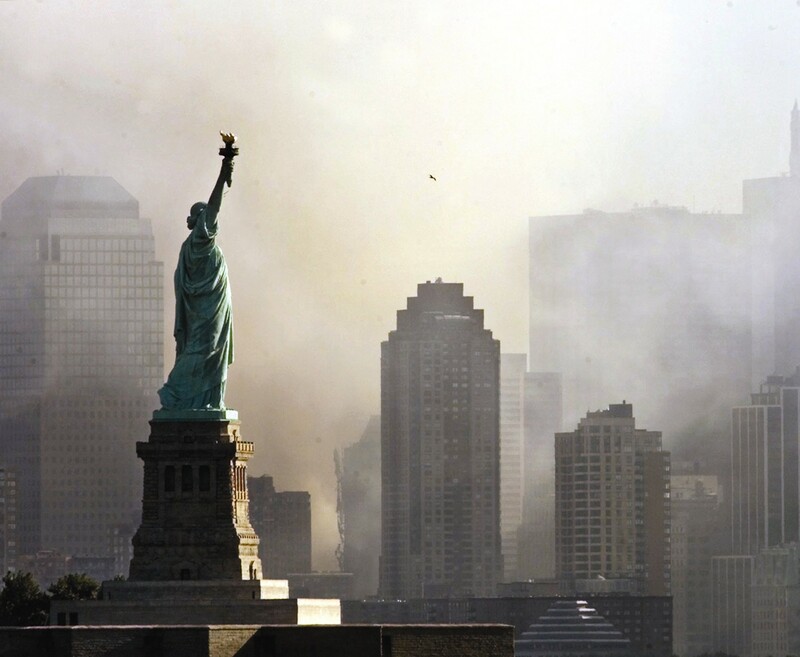 The Eleventh Anniversary of the 9/11 attacks on the United States by the al-Qaeda Terrorist Organization is approaching. These attacks one the World Trade Center in New York and the Pentagon in Washington were successful in the eyes of the perpetrators; America was terrorized and shaken to her very core. However, just as the Japanese Empire found after their attack on Pearl Harbor, America responds to an attack with retribution. We also ask that you say at least a small prayer for the victims of the Attack; the passengers in the four hi-jacked airliners, the First Responders at the World Trade Center and the Pentagon, and those whom they were trying to save, and the brave Service men and women who have given so much in the ten years since the attack. Sitting around drinking coffee was how that terrible morning started for a lot of us; two were separately on the West Coast. I remember the freeways of Los Angeles feeling deserted driving to graduate school. The other was stationed aboard a ship undergoing repairs in the Puget Sound Naval Ship Yard. He remembers the lonely feeling as every ship that could get underway did, and the only aircraft in the sky were the occasional fighters on patrol from McChord Airbase. The sailor was helping to coordinate the day’s scheduled maintenance when he got word of the first Tower being struck, and only got to sit in front of a TV about three minutes before the Tower fell. At Old Time Radio we have a lot of fun with the dramas and comedies from the Golden Age of Radio, but we also feel that we also have a role as keepers of History. Earlier this year we put together a collection of broadcasts from WWII, and we have been struck by the similarities between the response to 9-11 and Dec 7, 1942. As amateur historians we have enjoyed listening to recordings of Operational transmissions from NASA’s Mercury Missions and the Apollo Flights. The excitement of hearing these missions, even knowing of their eventual success, is a direct contrast to the chills of listening to the first responders to the World Trade Center. The first recording is taken from the NYFD Manhattan dispatch. The cassette recording begins at 8:46, EDT, soon after American Airlines Flight 11 impacted the North Tower of the World Trade Center (WTC1). As the tape continues we hear the Firemen bravely and professionally responding to the emergency. As further alarms are called, lists of the responding units are read, and the listener, from his perspective these years in the future, wonders which of these units are among those in which the entire company gave the ultimate sacrifice that day. There is some break down when the South Tower (WTC2) is hit by United Airlines Flight 175 at 9:03 AM. But we are still struck by the Firemen doing all they can to overcome confusion and complete their mission for the next 56 minutes. After the South Tower collapses at 9:59 confusion and panic begin to overwhelm. We hear a “civilian” who is panicked and trapped in a firetruck and a Firefighter calling for help from the military. There is ghostly silence as the dispatcher attempts to contact “Any Unit operating in Number 2 World Trade Center.” At 10:28 we hear that the second tower collapsed, followed by reports if Firefighters in trouble, and growing frustration as the Dispatcher tries to establish communication with his people. The Attack on the United States would not go unnoticed by our Friends, just as the Attack on Dec 7, 1941, was. Here we present the initial British Reports of both events. The response to both Attacks was to put the United States on an immediate War Footing. When the American Military is aroused, life isn’t very good on the opposite side. Just like 9/11, Dec 7 grabbed the attention of New York immediately, as demonstrated by this broadcast by Mayor Fiorello La Guardia. Perhaps the best lesson from the aftermath of both Dec 7 and 9/11 is the virtue of the American Way of Life. One of the best tributes to America and her Patriots come from prolific radio producer Norman Corwin. Corwin had planned his tribute to the Bill of Rights for the evening of Dec 15, 1941, the 150th anniversary of its ratification. He initially thought that the broadcast would be canceled in the aftermath of Pearl Harbor, but it was decided that America needed to hear this particular message more than ever. The broadcast featured Edward Arnold, Lionel Barrymore, Bob Burns, Walter Brennan, Walter Huston, Marjorie Main, Edward G. Robinson, Jimmy Stewart, Rudy Vallee, and Orson Welles. President Roosevelt provided closing remarks and the show was simultaneously broadcast on all four major networks. Corwinwas called upon again as the War drew to a close. On a Note of Triumph was declared “the single greatest… radio program we ever heard” by Billboard magazine. Poet Carl Sandburg said it was “one of the all-time great American poems. The first decade of this century is a far different world that it was in the fourth decade of the last. We had to be dragged into that world wide conflict because of our commitment to isolationism. We emerged from the War as a Leader of the World. Voice of America is one of the ways we seek to deliver the message of America to the rest of the World. This recent broadcast from VoA discusses the attacks and the decade that followed. Thank you for taking the time to read our thoughts. We hope that you will find a moment to remember all of the victims of the September 11, 2001 Attacks, and for all of our brave men and woman who proudly wear the uniform of their country. Please enjoy the broadcasts listed above, as well as these other Patriotic Broadcasts. This entry was posted in Corwin, Obituary, Pearl Harbor, Sept 11. Bookmark the permalink.